We’ve been to the doctor three times in the past two weeks (once for Tristan, twice for Frankie). It’s become a bit routine. Get there, check in, chat with receptionist, wait to be seen, see doctor, come out, pack up, check out. This time it was pink eye for Miss F and as we were packing up and getting ready to go, another mom in the waiting room was smiling and engaging with her. She gushed over her and asked how old she was. I told her and we got to talking. Her baby was 6 months. She was born prematurely, she said. She has hearing loss. Her voice cracked. Oh. Maybe she expected me to say I was sorry, I don’t know. Did you know? she asked me. About the Down syndrome? I asked. Um, well, yes, she said shyly. It’s the fourth time someone has mentioned it without me first saying so. Usually my heart skips a beat. But this time…it didn’t. I felt a sort of kindred spirit. And that this mom needed me. I told her our story. Then it was her turn. 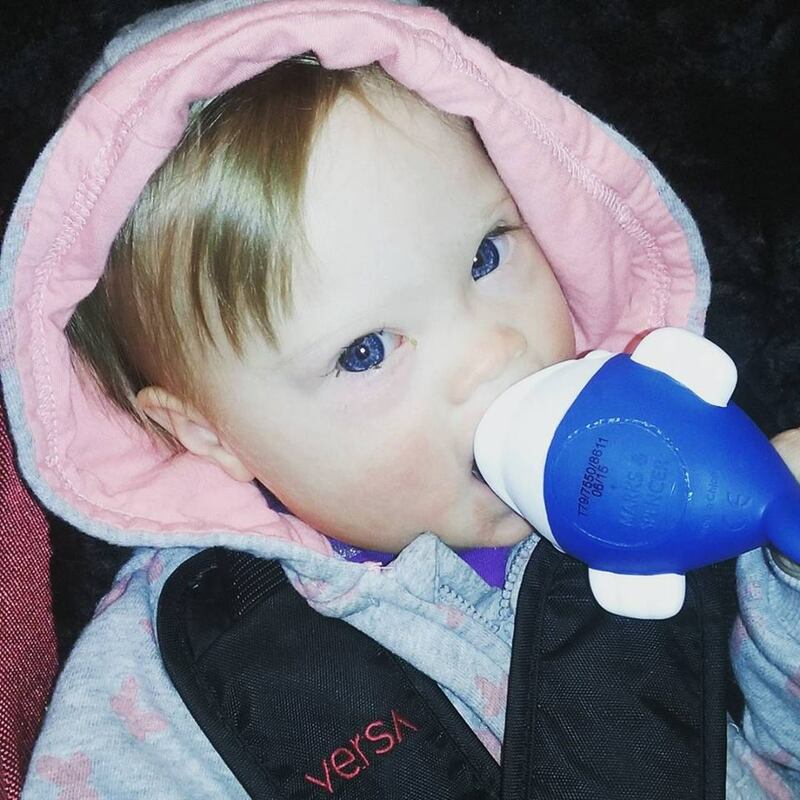 Her daughter didn’t have Down syndrome, but she confessed to me that they thought she might during her pregnancy. She said that she has hearing aids but needs a cochlear implant. She took it very hard and it’s taken her a long time to be okay about it. You want your baby to be perfect, you know, she said. I know, I nodded. But – she smiled hugely – she’s started to read lips, she moves her mouth when we talk to her! Then she looked shy again. Sometimes I swear she can hear me. You’re her Mommy, I said. She knows what you’re saying. And she’s going to be awesome. She smiled. Your’s too, she said. The receptionist came back to check me and Frankie out and we were on our way. The mom and I said goodbye and I know I probably won’t see her again. But I was left feeling so light, so happy and so…fortified. I hope it was the same for her. Because I think what we both confirmed to one another was that we all want our babies to be “perfect” – sometimes it just takes us a little bit longer to define perfect.